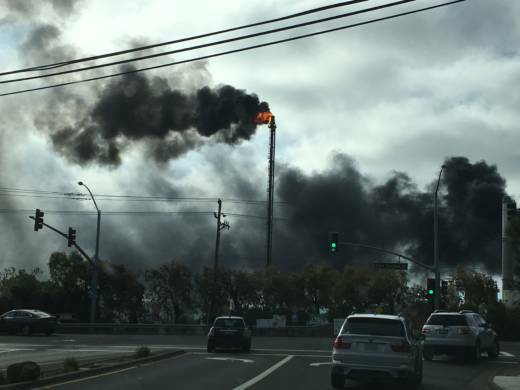 Benicia city leaders voted early Wednesday morning not to move forward with a proposal that could have given city officials more oversight of the Valero refinery, more than a year after a power outage at the facility triggered a major pollution release. Instead, the City Council voted 3-2 to monitor Solano County's implementation of state refinery safety regulations adopted last October and to require Valero to install air monitors along its fence line within six months. Thirteen months after a major air pollution incident at Valero Energy Corp.'s Benicia refinery, city leaders will decide whether to assume more oversight of the facility. On Tuesday, the City Council plans to decide whether to direct staff to begin developing an industrial safety ordinance that would require Valero to pay for a set of air monitors, submit a safety plan to the city and provide Benicia with reports on serious refinery malfunctions. When Oil Refineries Flare, What Happens To The Air? 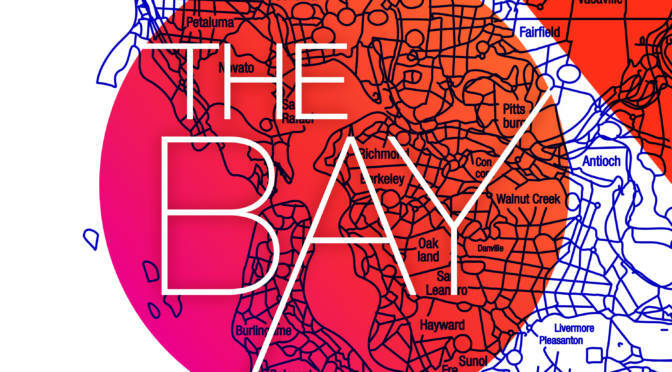 The issue is the latest to pit Benicia Mayor Elizabeth Patterson, other city officials, environmentalists and some residents against the San Antonio-based energy company, which is the city's largest employer and taxpayer. Patterson began pushing for the reforms in the weeks following the May 5, 2017, refinery power outage that triggered the release of more than 80,000 pounds of sulfur dioxide. "The space for the city is to be at the table and not be kept in the dark," said Patterson. The outage sent flames and black smoke into the sky, leading to shelter-in-place and evacuation orders. At least a dozen people sought medical attention for breathing difficulties. It took weeks for the refinery to return to full operations, and analysts said the incident prompted a rise in the state's gasoline prices. Patterson says that since the outage, neither Valero nor regulators have given the city detailed information about the incident. For instance, city officials learned from KQED, not from Solano County, that county environmental health investigators concluded late last year Valero did not violate state regulations in connection with the accident. "We don't get those reports," said Patterson in an interview last week. "We never did get a presentation by any state or regional agency, let alone Valero, about what had happened." "The public has a right to know," she said. Valero has consistently opposed a city safety ordinance, which would be modeled after those used in Richmond for the Chevron refinery and in the rest of Contra Costa County for the Shell, Phillips 66 and Andeavor (formerly Tesoro) facilities. "We believe you will see there will be no need to pursue a duplicative and divisive Benicia Industrial Safety Ordinance," Donald Cuffel, the refinery's director of health, safety, environmental and regulator affairs, wrote in a letter to the City Council late last month. Cuffel argued state and county agencies, as well as the local air district, already have similar regulations in place. Last October, California officials approved rules similar to Contra Costa County's ordinance for refineries statewide. That prompted Solano County's Department of Resource Management to spend close to 500 hours inspecting, reviewing and documenting the Valero refinery, according to Benicia city staff. Currently, neither the Bay Area Air Quality Management District nor Benicia have air monitors in place to measure air quality after refinery accidents. Air district officials say they rely on monitors in nearby cities to gauge Benicia's air quality. Patterson's proposal calls for Valero to pay for monitors to be placed throughout Benicia's residential and industrial areas, as well as on the refinery's fence line. Data from those devices would be placed on a website. Last week the regional air district approved a fenceline air monitoring plan by Valero, according to agency spokesman Tom Flannigan. The refinery has one year to install the devices. The district is in the initial phases of looking for a location for a community air monitor, said Flannigan. Iron Workers Local 378, which represents some of the refinery's workers, is also opposed to the safety ordinance, calling it a "duplicative, outdated, go-it-alone strategy." "A local ISO won't make our workers, trainees or this community any safer," Jeff McEuen, the union's business manager, financial secretary and treasurer, wrote in a letter to the City Council last week. But a group brought together after last year's refinery outage to develop safety reforms says the law is needed. "This is a signature moment for Benicia, as it will signal whether the City Council puts the health and safety of Benicia, its citizens and community members over the Valero refinery's 'just trust us' stance to its industrial safety record," said Constance Beutel, a member of the Benicia ISO Working Group. At least one other member of the council sees the proposed ordinance as a way for the city to get information more quickly when the next refinery accident takes place. "There is a problem with getting sufficient information out in a timely manner," said Vice Mayor Steve Young. "There is a need for greater transparency." Young noted that the conflict over an industrial safety ordinance is the biggest between city leaders and Valero since the council rejected the company's oil-by-rail proposal in 2016. Council members could either direct city staff to draft an ordinance that the council would vote on in the coming months, or the city could continue to rely on Solano County's work in employing the new state regulations. Meanwhile, the California Public Utilities Commission expects to complete its investigation of the refinery outage this summer, according to Garrett Toy, a CPUC lawyer. Valero sued Pacific Gas and Electric after the incident, seeking $75 million for damage to refinery equipment and lost revenue. The company blames PG&E for the episode and claims it "shut off all electricity" to the refinery the day of the outage. PG&E hired a third-party engineering firm, Exponent, to review the outage. The company submitted its report to the CPUC. Both PG&E and the commission have declined to release that report. Valero's lawsuit is expected to go to trial next year.